A report has claimed that Apple plans to utilise mini LED backlit screens in a lot of their upcoming products, seeing the technology as a suitable alternative to OLED panels due to their longer lifespan and lack of burn-in. This rumour comes courtesy of Kuo Ming-chi, an analyst at TF International Securities, backing up existing reports that Apple plans to release a 31.6-inch 6K (6,144x3,072) micro LED monitor later this year, bringing the company back into the monitor market. Recently, Mini LEDs have been utilised in ASUS' ProArt PA27UCX display, offering superior local dimming capabilities when compared to other backlit screen technologies while lacking the burn-in issues that have prevented OLED screens from gaining traction in the PC market. PC displays typically display more static elements than televisions, making burn-in more prominent in PC-based workloads. This is what makes alternative HDR screen backlighting technologies attractive to PC makers. On top of their 6K monitors, Apple reportedly plans to utilise Mini LEDs on as 10-12 inch iPad design in late 2020 and 15-17-inch MacBook designs in early 2021. In the interim, Apple hopes to reduce the cost of Mini LED screens and make them more suitable for products with small screens. If this report is correct, Apple plans to embrace HDR content in a big way over the coming years, with their 31.6-inch 6K monitor being set to enter the market as a high-end display offering, complete with the high contrast, wide colour gamut and dynamic range that is expected from premium HDR screens. 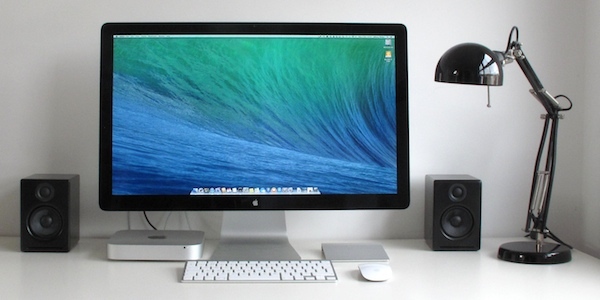 Apple discontinued their Thunderbolt display in 2016, with 3rd party companies taking up the slack in recent years with Thunderbolt-compatible offerings. Now, Apple appears to be ready to re-enter the display market, pushing the envelope both in terms of screen resolution and display panel technology. You can join the discussion on Apple's plans to adopt Mini LED backlit screen technology on the OC3D Forums.